The purpose of this event is to provide an educational interpretive program that meets the needs of Girl Scouts USA. 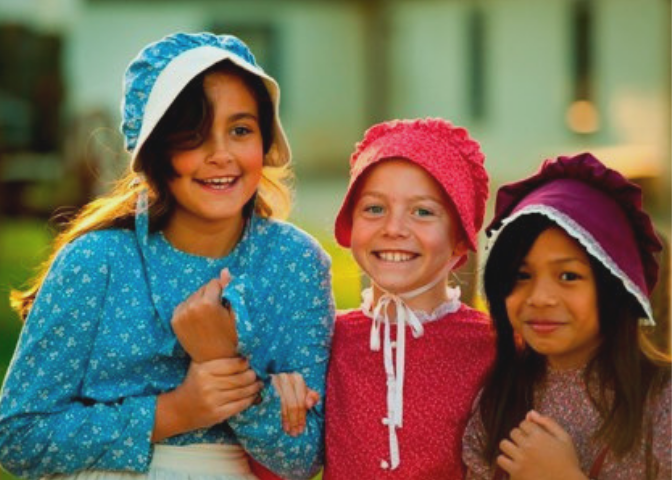 Girl Scouts and non-scouts will enjoy a 2-½ hour program at Sutter’s Fort State Historic Park and learn about life as a pioneer including crafts, games, clothing, wagon travel, and more in order to earn their “Playing the Past” badge. After the program ends, you are more than welcome to stay and learn about the Fort via our self-guided audio tour. Tickets for the May Program are now sold out. Tickets are still available for December. $15 per scout. Program price includes admission for one scout, one adult, and a “Playing the Past” badge. Non-scouts may also participate at the same price, registration is required. Additional adults and non-participating siblings will be required to pay normal entrance fee at the kiosk upon arrival. Please meet at the Sutter’s Fort kiosk (28th St between L St an K St) no later than 10am to check in. No food or beverages other than water allowed inside the Fort. This program will be held rain or shine so please dress accordingly. Scouts will receive a “Playing the Past” badge after the program from our Trade Store. Please contact our Interpreter I, Amber Sprock, at amber.sprock@parks.ca.gov if you have questions or concerns regarding Playing the Past at Sutter’s Fort.